* The free upgrade Priority Shipping on orders over $75 will not show in your shopping cart. We will upgrade your shipping after your purchase is completed, no need for you to do anything. Almost every product have a coupon code for a 10% to 60% off discount you can use at checkout. so please feel free to write me with comments or questions. 📷 All the PHOTOS you see in our store are from our customers. 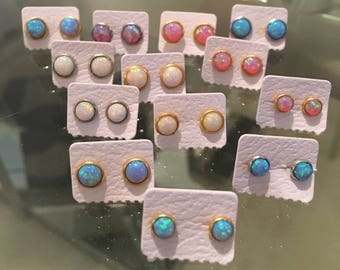 If you feel that your photo wearing our jewelry should be posted in our store please send it to us as we would love to see it. Please do not send email to etsy @ luckycharmsusa.com if you expect a same day reply. For order related issues like address and order changes please use the “CONTACT” or “ASK A QUESTION” buttons available all throughout our Etsy store to write us your urgent message. We will respond immediately and certainly within the same day (Sundays, we may not). *Please note during some holidays, the post office is closed during the week and they won't be delivering mail. The jewelry will arrive in our own uniquely designed packaging ready for gifting or keeping. The package has plenty of space for you or us to write a personal message inside. 1. Make sure to ship to the address you would like it to go to. 2. At checkout, check the box "This order is a gift". This will hide the price and will not include the invoice when shipped. 3. To have us write them a personal note from you, check the box "Add gift message for free". 4. The gift package includes room for a personal message. We will hand-write your gift message on the gift package. *Please note during some holidays the post office is closed during the week and we won’t be able to ship. ★ There are different shipping upgrades for both domestic and international on each item, such as: PRIORITY 1-3 DAYS DELIVERY USA or OVERNIGHT 1-2 DAYS USA. So please check the item you are planing to buy for more information. ★ Priority mail is not guaranteed by the post office. Sorry, but there is nothing we can do about it. In fact they will not refund us the priority postage when they do not deliver on time (yeah, I know talk about lack of social responsibility on their behalf) However, if your package did not arrive priority I will refund your priority portion back to you out of my own pocket. ★ ★ ★ Shipping time estimates above are not a guarantee. Actual transit time may vary. (𝐀) Buyers are responsible for any customs and import taxes that may apply. (𝐁) Your package will go through custom in your country and they might even delay your package to be released to your local post office. Sorry but I cannot be responsible for such delay. (𝐂) Your post office will not provide online tracking once your item is released from your country custom officials. (Sorry but apparently post offices don't get along with each other). ∙ The United States online postal service (USPS) does not always show live tracking once your package leaves the United States. ∙ Your package will arrive in your country customs office and might be delayed up to ten days before being released to your post office. ∙ Once your post office has your package from customs they might assign their own tracking number depending on the country you are in. ∙ We do not have access to information about your package once it arrives in your country. If you do not receive your package 30 days from shipment date, please notify us 30 days from shipment date and we will open an investigation with our insurance company and refund you fully. (Please note we will not re-send the item a 2nd time since we wont be able to file a 2nd claim). YOU MAY BE REQUIRED TO CONFIRM YOUR PACKAGE HAS NOT ARRIVED. If you do not notify us within 30 days of the shipment date we will not be able to refund your money. ∙ Once your package has been confirmed delivered by USPS, we, PayPal and Etsy consider it delivered. ∙ Please make sure your delivery address is correct in your Etsy account to avoid nondelivery. ∙ Non deliverable packages for any other reasons such as incomplete address can take up to 2 month to be returned to us, if at all. ∙ If a package was returned to us and you choose to have it sent again to you we will need to collect shipping costs from you. We have an INSURED SHIPPING option if mail delivery is unreliable in your location. We must wait 60 days before the post office will declare a non delivered package lost. At which time we will refund your money. Buyers are responsible for return shipping costs. Buyer will be charged $4 fee on all returns. If the item is not returned in its original condition, the buyer is responsible for any loss in value. Shipping fees are non-refundable. Exchanging an item for a larger size will cost you the buyer $8.50 so please make sure to buy the right chain length for you. other charges may apply if the item being exchanged is more expensive. ♥ We will gladly tailor the right price for your needs, just ask. ♥ We work with retailers and online sellers in USA/CANADA/UK. ♥ Need a party pack for your awesome Birthdays, Office parties, Holidays, Wedding, College? just let us know, we've done them all. ♥ We can design and manufacture your own dream jewelry for you. ♥ We can even design and produce your own packaging. ©2001 - 2019 All designs, photos, and descriptions are copyright of LUCKY CHARMS USA, and LUCKY STRINGS LLC, You may not use any of them without prior written permission. Necklaces clearance in sweet rose gold • BLACK FRIDAY SALE Prices !!! Blowout sale not to be missed, while supply lasts !!! Cute and dainty necklace - as pictured! Really quick shipping! Perfect! Thank you! I’ve always been fascinated by jewelry, and love designing and making them. I strive to produce high quality jewelry at prices we can all afford. I am 90% Giver and only 10% Taker and perfectly content to live with a smaller profit on my jewelry and seeing you rewarded with and satisfied with your savings. We made sure that the low price does not mean low quality for you. We provide high grade materials and craftsmanship with each piece of jewelry. Inspirations come from celebrity trends, close and personal customers, family and co-workers. It is important for me to know what you think and feel about the jewelry. So please feel free to write me with any ideas and criticism on how can I improve the products and serve you better. Thanks for reading and enjoy the jewelry. You may return items on your on as long as you make sure to get a TRACKING NUMBER as proof of your package being shipped to us. (Do not send items with registered mail, restricted delivery, or signature confirmation, as we are unable to accept these packages). We recommend using USPS (United States Postal Service) FIRST CLASS MAIL WITH TRACKING. You do not need to purchase any other upgrade services like insurance. If you prefer, you can also use UPS or FedEx. Make sure your full name and order number are included inside your package so we can easily identify you, or include the original receipt that your packaged arrived with. You can choose the option to let us send you a prepaid label. Please let us know by writing in a convo to us, "YES, I WOULD LIKE A PREPAID LABEL". We will then send you a listing to purchase, and once you do we will send a USPS First Class Prepaid Label with Tracking to ship your item back to us. You can reuse the original bubble mailer if you can tape it securely shut, otherwise, you will need another envelope. Print the label on your printer and attach it to the front of the envelope. You can place the envelope with your normal outgoing mail, hand it to your letter carrier, or deposit it in any USPS Big Blue Mailbox. No need to stand in line at the Post Office. - If you don't like the item and would like to return it please contact me within 14 days of delivery and ship items back within 30 days of delivery. Item must be returned unused to avoid 20% re-stocking fee. - If your item is Damaged, Defective, or Not As Described, please provide a clear photo of the item and if needed a close up photo of the damaged area and contact us within 14 days days of delivery. - All items returned by buyers with the claim to be defective will be inspected to determine the cause of damage. If the cause is other than manufacturer's defect, we reserve the right to deduct up to 50% of the original purchase amount from a refund, not including return shipping. We do not accept exchanges. You will need to return your item and re-purchase a new one. (read Return Policy above for instructions). ✔ Etsy handles all payment transactions for my shop. At my end, I don't get to see or keep your billing information. All I get from Etsy is your shipping address. To find out more about Etsy billing practices, please check the Etsy FAQ: https://www.etsy.com/help/article/1939? I accept Paypal, credit cards, debit cards, and Etsy gift cards. ✔ We ship within 24 hours (1 business day). We follow Etsy buyer protection and Etsy seller protection rules. That means we can only ship to the address on the order. I cannot change the address. I am happy to cancel the order and let you place a new one with the correct address. Domestic orders are shipped via USPS First Class with tracking information. The post office delivers most packages within 3-5 days. However they might take up to 10 days. We are not responsible for the post office delays. Following Etsy standards, we rely on the Post Office as proof of delivery. We have an INSURED SHIPPING option if mail delivery is unreliable in your location. We must wait 60 days before the post office will declare a non delivered package lost. At which time we will refund your money. International orders are shipped via United States Postal Service (USPS) with tracking and insurance. Many countries do not provide tracking information for First Class International mail. So there is often no tracking information for many countries once the package leaves the U.S. Many countries delay packages in customs for 1-4 weeks for various reasons. Typical delivery time to Europe, Mexico and Australia seems to average around 3-5 weeks. Canada is usually about 2-4 weeks. Please note that we cannot file insurance claims for lost international packages until 40 days from mailing, as noted on the tracking information. If your local postal service provides tracking information, we can use that to give you a refund sooner. 1. Please check your order tracking number provided to you from Etsy. 2. If tracking shows delivery, please check with your local post office. Talk to your neighbors, friends, a landlord, co-workers or anyone that might have kept the package in your absence. Mail carriers often leave a package at a back door, inside a barbecue, or by a garage in bad weather. It often pays to look around. 3. Once your package is confirmed delivered by the post office, I don't take any responsibility for non delivered claims. We will not resend an item that is confirmed delivered. We are also unable to contact your post office and handle your missing package claim. You need to do it on your own, unless you originally purchased shipping insurance. If you would like to purchase signature confirmation, please contact us and let us know. 1. We use the United States Postal Service (USPS) for express shipping. 2. Express Shipping takes 1-3 days depending on your address. We ship from Florida. The actual time to arrive is not known until we print postage. The Post Office DOES NOT GUARANTEE arrival time on express shipping. The only service with a delivery date guarantee is Overnight Shipping. 3. Overnight shipping means it will be delivered the day after the order is mailed. If your order arrives in the morning, it will usually be shipped the same day. Once your package leaves the United States we have NO control over your country's customs procedures. Some countries will charge you at times duty and other times they won't. It is more of a random issue at their discretion. We DO NOT charge you duty and or custom fees. If you are asked to pay such fees it is coming directly from your country's customs officials once the item arrived at your country border. All the jewelry you see in my Etsy shop can be available for wholesale. And, most of my jewelry can also be made alternatively in gold, diamonds and other precious gems at guaranteed unbeatable low prices anywhere in the world. Please contact me for more exciting details. ♥ All images appearing in the Lucky Charms USA Etsy store are the exclusive property of Lucky Charms USA and are protected under the United States and International Copyright laws. The images may not be reproduced, copied, transmitted or manipulated without the written permission of Lucky Charms USA. Use of any image as the basis for another photographic concept or illustration (digital, artist rendering or alike) is a violation of the United States and International Copyright laws. All images are copyrighted © 2000 - 2015 Lucky Charms USA. For domestic US, we rely on the USPS tracking record of delivery as the final authority. Once your package is confirmed delivered by the post office, both Etsy and our shop policy consider it delivered. Our international packages, there is no tracking provided by USPS First Class International for most countries once the package leaves the US. We are required to wait 60 days from shipping before we can initiate a trace on an undelivered package. Claims must be filed within 80 days of shipment. Please bear in mind that customs times in your couare variable, and can add 1 day to 2 weeks to the total delivery time.